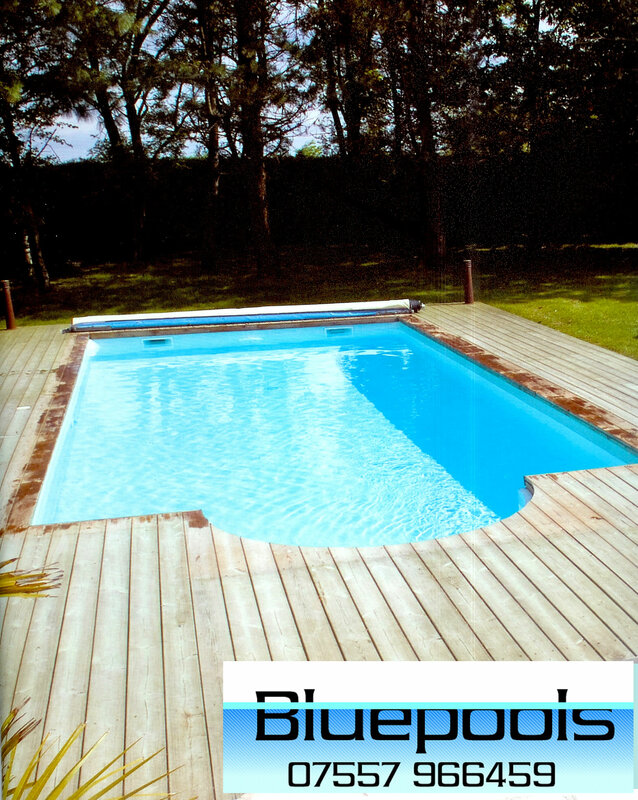 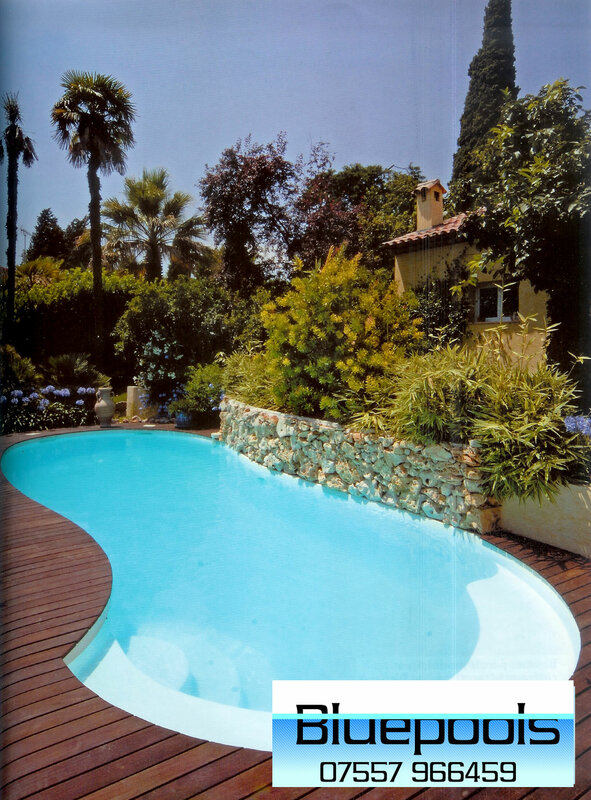 A gunite concretegarden pool where decking has been used very cleverly - especially around the beach area. 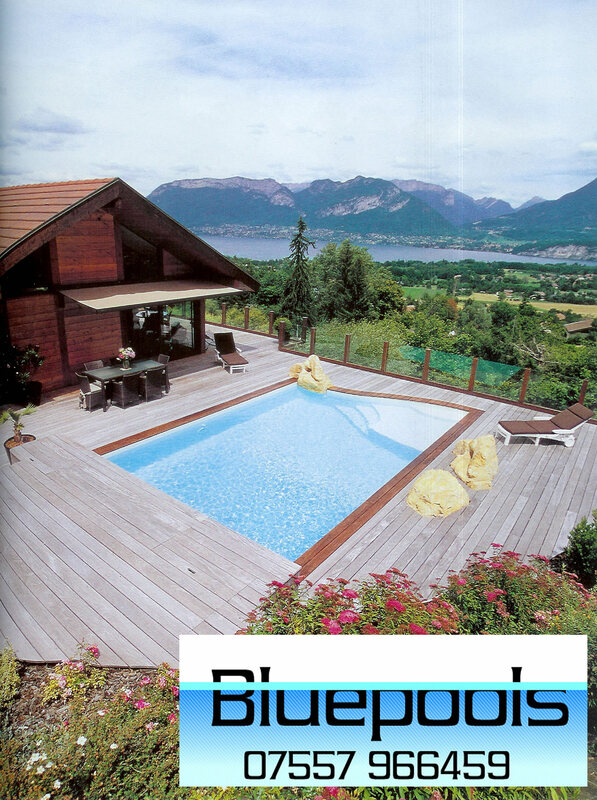 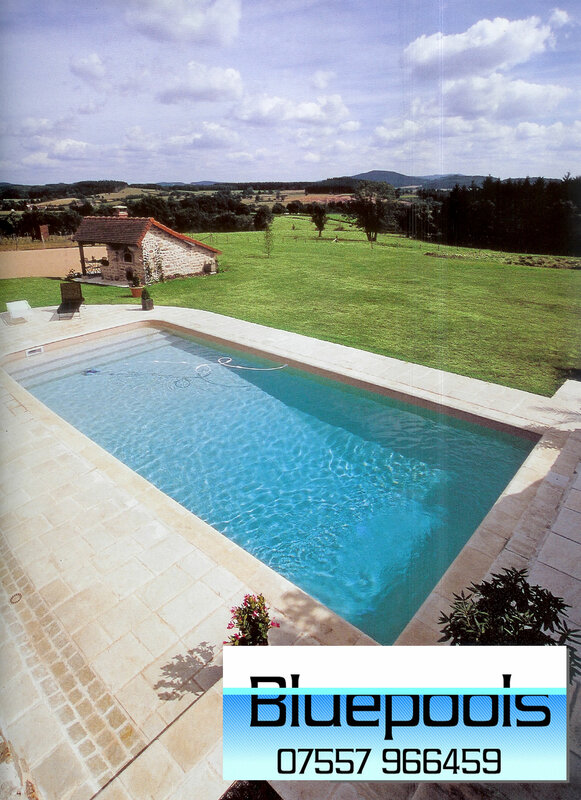 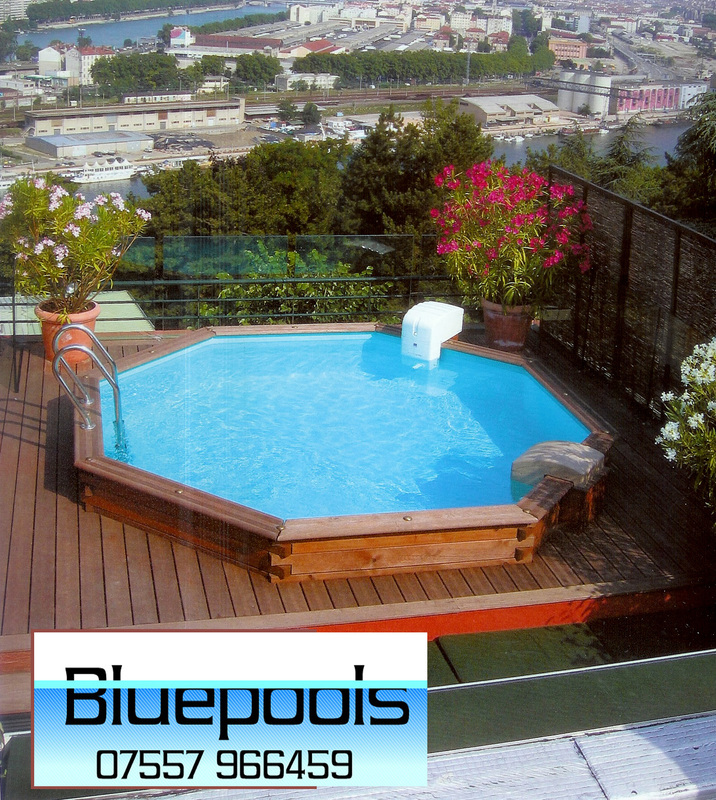 A tiled pool woul not have worked as well and the decking just enhances the overall attractiveness of thegarden pool. 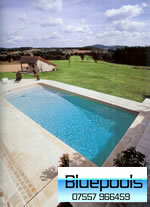 A pool that takes maximum advantage of the sloping site to provide a breathtaking bespoke designgarden pool. A gunite or shotcretegarden pool with some stunning finishes. 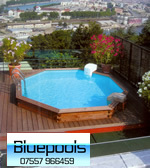 Another vinyl linergarden pool in colour sky blue in reinforced concrete construction. 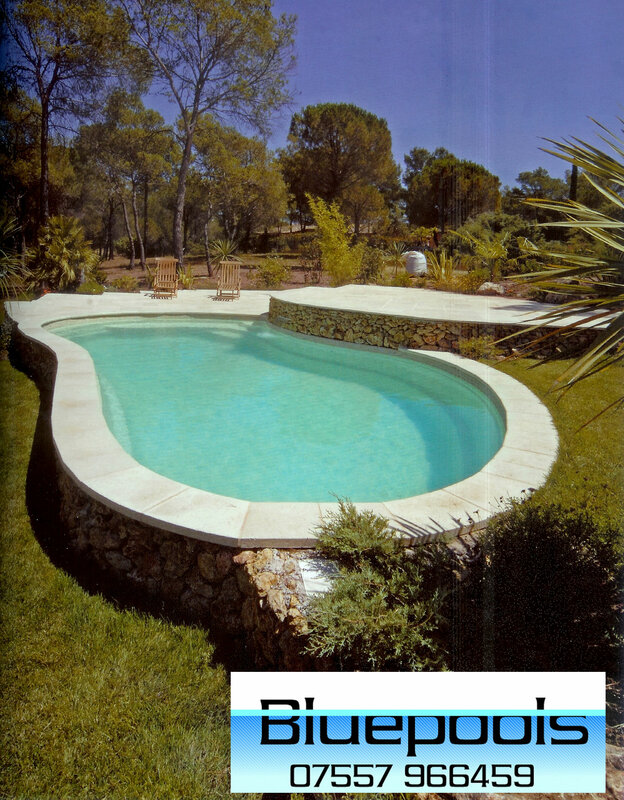 Reinforced concrete tiledgarden pool - these are fast going out of fashion in France - but this one does look good - despite the high cost! 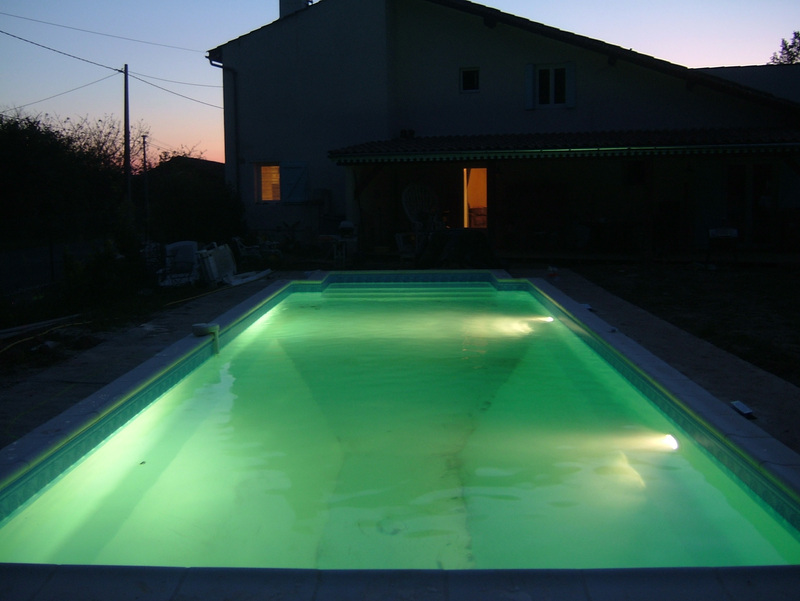 Shows how good a cream liner looks at night - modern pool lights can be magnificent.